I keep being asked how I like retirement in Florida. I wouldn’t know. We are busier than ever Want something done? Give it to a busy person! 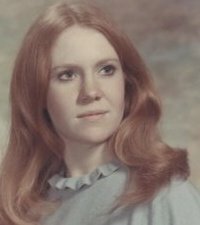 I have taken on the entertaining and challenging task of spearheading a 40th year reunion of my high school class. At the same time we are exploring this completely different area…so unlike any we have ever lived in. We are on the road for hours and have the opportunity to visit places we might otherwise overlook. The Gulf Coast of Florida is luxuriantly tropical and green. As we travel from one community to another we may spot a majestic broad-winged wood stork soaring overhead , a bristly razorback wild pig running along the roadside, or cattle grazing in the pastures accompanied by snow-white cattle egrets who feed on the insects stirred up by the cows’ movements as they graze. We are continually amazed by the variety and abundance of animals even in our own backyard. 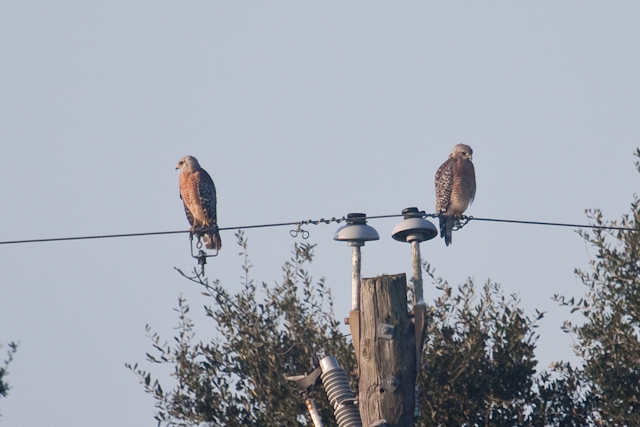 Recently Bob saw a pair of red-shouldered hawks perched on the wires outside our neighbor’s house. Some of our adventures are in the human realm but no less exotic. 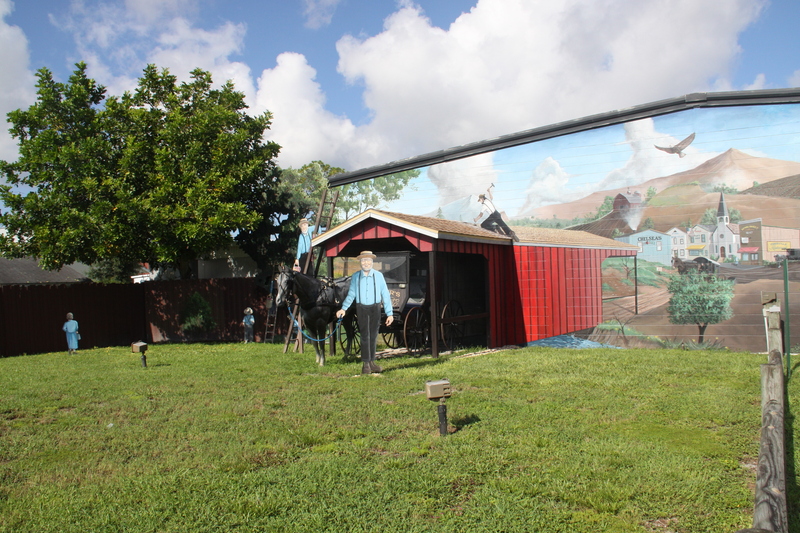 This week we were in the Pinecraft area of Sarasota – Amish territory. It may come as a surprise to you that the Amish and Mennonites live and vacation in Sarasota just like everyone else. In fact the Amish are well ensconced in this area and there are at least five Amish restaurants. 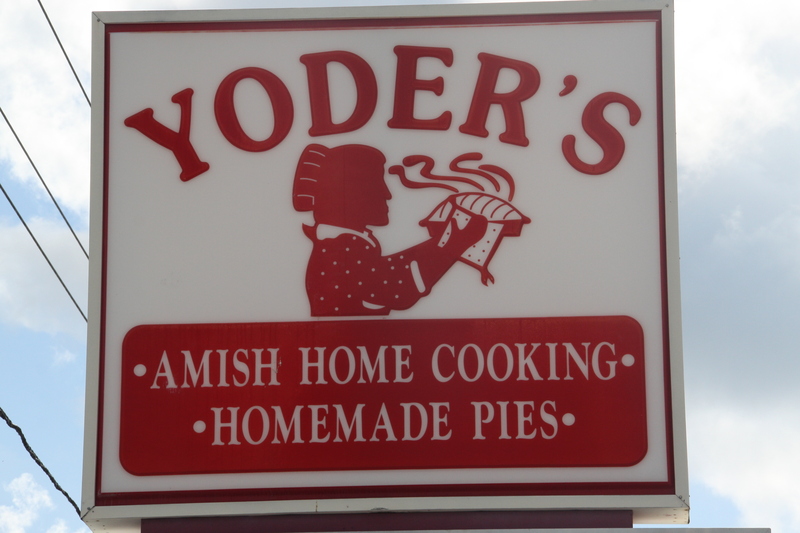 We had heard that Yoders is famous for their fried chicken but it was breakfast time when we happened by and drawn by the sign advertising peach pies, we stopped. 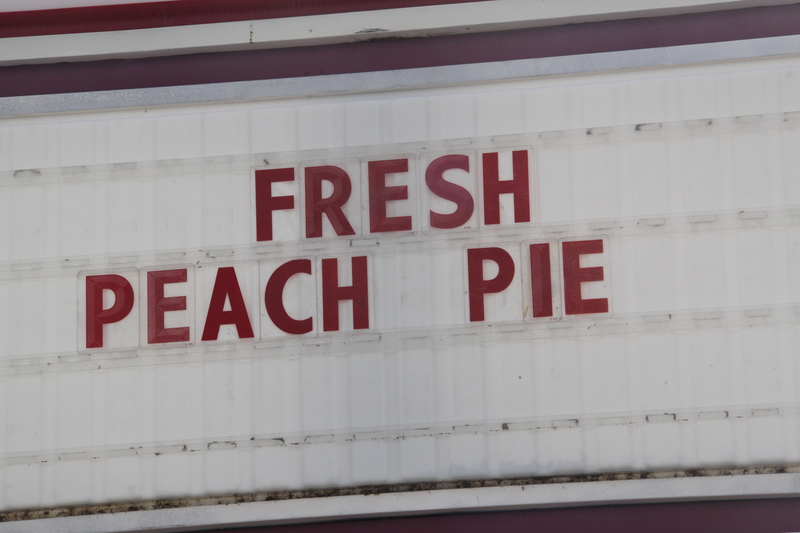 After a delicious breakfast of the biggest piece of French toast I’ve ever eaten, we picked up our pie made of fresh local peaches and then wandered over to their fruit and vegetable store. 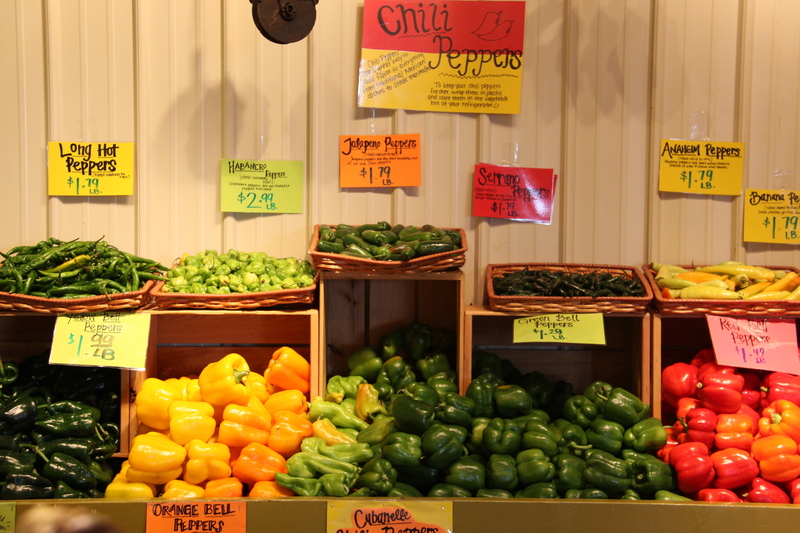 All of the produce was fresh and I was able to pick up standards such as bananas and tomatoes as well as some exotics such as guavas. We then jumped back in the car and continued on to our next assignment. This entry was posted in Bob Wilson Photos, Florida, Retirement/Reinvention and tagged Amish in Sarasota, Birds of Florida, Nokomis, Wild animals in Florida, Yoders. Bookmark the permalink.